Other-worldly beauty. 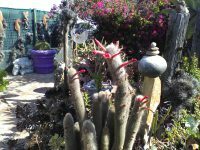 This cactus blooms ever so briefly, says one of the gardening experts of the Namib Garden Cactus Nursery outside Melkbosstrand. “Oh, it flowers for only about a day,” the man says. 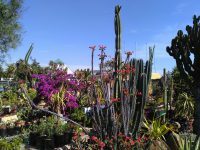 If you have interesting plants in your garden, we’d love to hear about it.